Optimize your cover photo for the right dimensions: 851 pixels wide and 315 pixels tall for desktop, 640 pixels wide by 360 pixels tall for mobile. If your uploaded image is smaller than these dimensions, Facebook will stretch it to fit — making it look blurry. Whether you’re using Facebook to generate leads, close your next sale, or create a customer community, knowing how to make and optimize your cover photo is very important. Read on to learn what you should (and shouldn’t) do in your cover photo, and grab some social media performance tracking templates at the bottom of the page. As stated at the beginning of this article, the best Facebook banner size is 851 pixels wide by 315 pixels tall for computers, and 640 pixels wide by 360 pixels tall on mobile devices. 5. 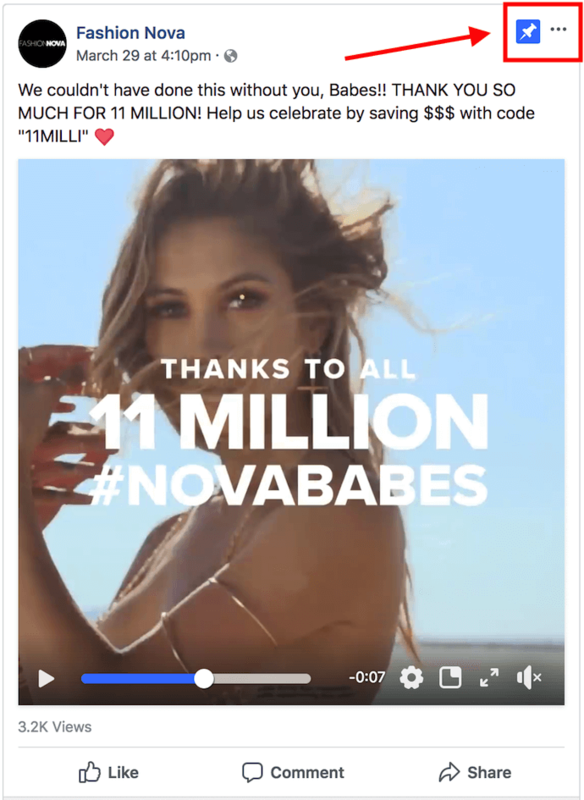 Do consider publishing a Facebook cover video. Facebook currently supports cover videos that are between 20 and 90 seconds long, and a minimum of 820 pixels wide by 320 pixels tall. Cover videos are a terrific option for the video-inclined, and brands across numerous industries have already taken advantage of it to hold their visitors’ attention. Brooks Running, Brightcove, and the New England Aquarium all have great cover videos to inspire you. 6. Don’t try to blend the contents of your cover photo with your profile picture. 7. Do draw attention to the action buttons on the bottom right. 8. Do right-align the objects in your cover photo. 9. Do keep mobile users in mind. In April 2016, Facebook reported that over half of its user base (54.2%) access the social network exclusively from mobile devices. 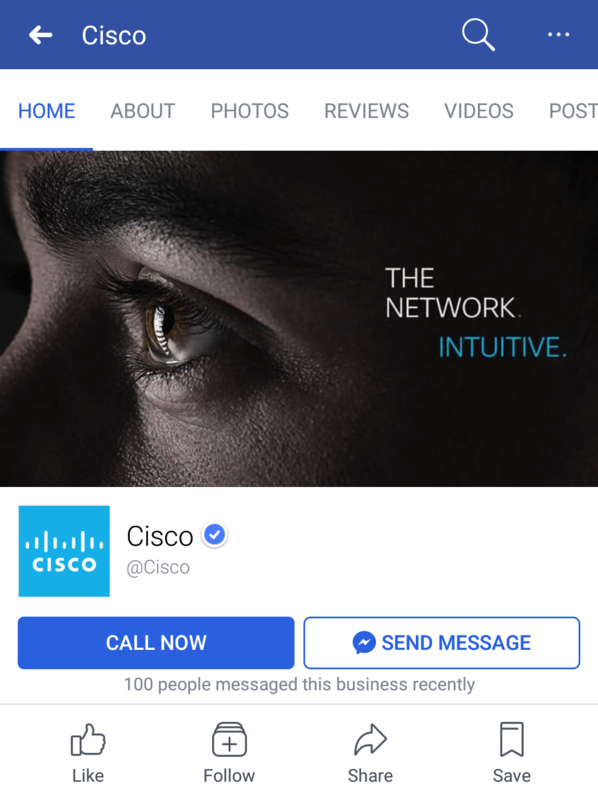 That’s huge — and it’s exactly why it’s so important to keep mobile users top-of-mind when designing your Facebook cover photo. Notice that the sides of the photo are cut off on mobile. Whereas your cover photo displays at 851 pixels wide by 315 pixels tall on desktop, it displays only the center 640 pixels wide by 360 pixels tall on smartphones. Take a look at this Facebook help document for more information. 10. Do include a shortened link in your cover photo description that aligns with your page CTA. 11. 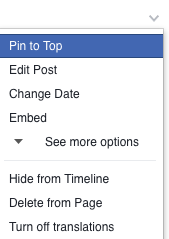 Do pin a related post right below your Facebook cover image.